New York State is considering a Clean Energy Standard that includes nuclear power plants. This is a big deal. Many states have Renewable Portfolio Standards that give preference and subsidies to renewables, supposedly in the interest of preventing climate change, but give no value to the fact that nuclear plants do not emit carbon dioxide, any more than wind turbines do. This coming Monday, there's an important hearing at the New York State Capital about the Clean Energy Standard. Two organizations: Environmental Progress and Mothers for Nuclear, are coordinating a rally in Albany for the standard. After the rally, we will attend the hearing. I say "we" because I will be there, hopefully with some others from this area. I'm driving 140 miles to attend, and I am glad to do it! Hopefully, the Clean Energy Standard will be enacted, and nuclear plants will be given credit for their clean-air qualities! If you are interested in coming to the rally, but not sure...email me offline at mjangwin at gmail. This is very exciting, and I am happy about it. This possibility/ probability in New York shows that nuclear can make progress and get support. 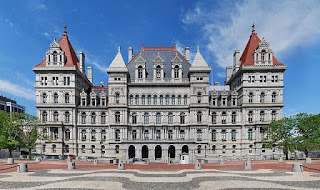 I am very pleased with this development, and happy that nuclear supporters who have been in Albany will go to the plant area for an extension of their rally. The people of Oswego have every reason to be proud of themselves for their work in gaining support for nuclear plants. 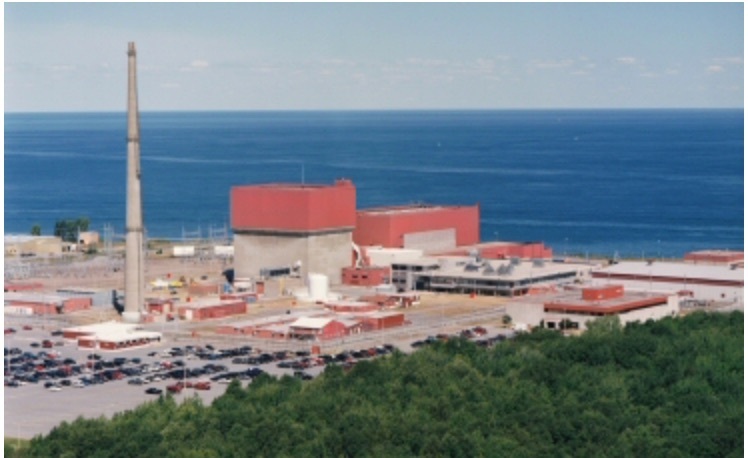 Shellenberger gives them abundant credit in his article on How to Save a Nuclear Plant. However, the contrast with Vermont makes me sad. In New York, the Governor was in favor of keeping the upstate plants operating. (He wanted to shut Indian Point, however.) In Vermont, when Peter Shumlin ran for governor the first time, I swear Shumlin was running against Vermont Yankee more than he was running against Brian Dubie. As a matter of fact, he told Brian Dubie that Dubie cared more the shareholders of "Entergy Louisiana" than he cared about the people of Vermont. Here's my blog post on that: Taking It Personal: Shumlin Accuses Dubie of Serving the Interests of "Entergy Louisiana." All politics is local, and local politics in Vermont can be painful. 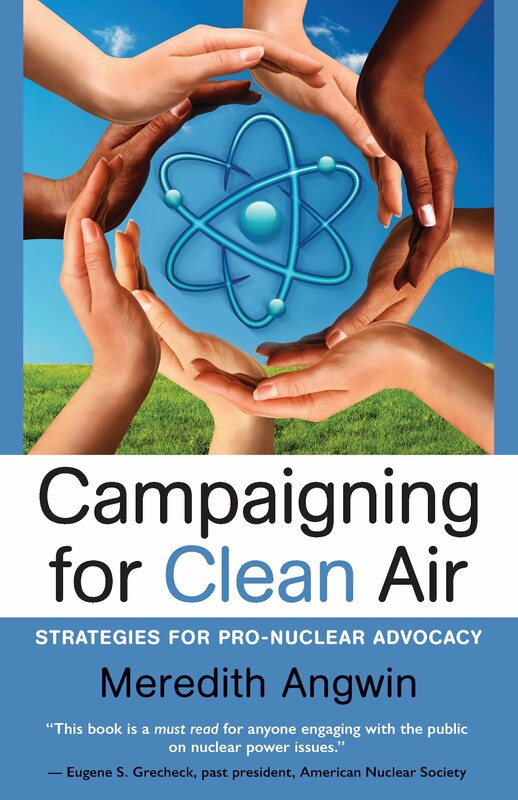 Here's Environmental Progress's review of the history of the standard: How to Save a Nuclear Plant, by Michael Shellenberger. Here's the schedule and sign-up link for the rally. It starts at 8:30 a.m. in Albany, and then moves on to the plant area (Oswego) later in the afternoon. Save the Climate rally information. I personally will not be going to Oswego, but I expect that many people in that area will be glad to see people who went to Albany to defend their plants! 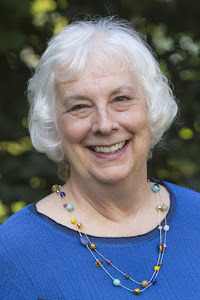 Here is my July 17 blog post on writing in support of the Clean Energy Standard. It includes a link to the standard itself. Write a Comment! Support New York Nuclear Plants. And if you can't come to the rally, you can donate to Environmental Progress with the Donate button on this page. "If the rule you followed brought you to this, of what use was the rule?" I work for one of the largest nuclear operators in the U.S. and my responsibilities over the last several years have included advocacy on behalf of the continued operation of nuclear plants in New York and New England. Working with a large team, this effort has involved complex, technical presentations to state and federal agencies with jurisdiction over the related matters that affect the licenses under which the nuclear plants operate, as well as extensive stakeholder outreach to educate the public, the media, elected officials, and others about the important benefits of nuclear power, from an electric reliability perspective, from an economic perspective, and from an environmental perspective. Over the last six or seven years, the wholesale market for electricity has dramatically changed due to persistent low natural gas prices. In most "organized" markets (New York, New England, Mid-Atlantic, for example), the price for power typically follows the price for natural gas. Therefore, as the price for natural gas has plunged, wholesale power prices have also plunged to historic lows. While wholesale power prices have plunged, the cost to run a nuclear power plant has increased, for a variety of reasons. You do not have to be a finance professional to conclude that increasing costs and decreasing revenues will eventually lead to unprofitability. 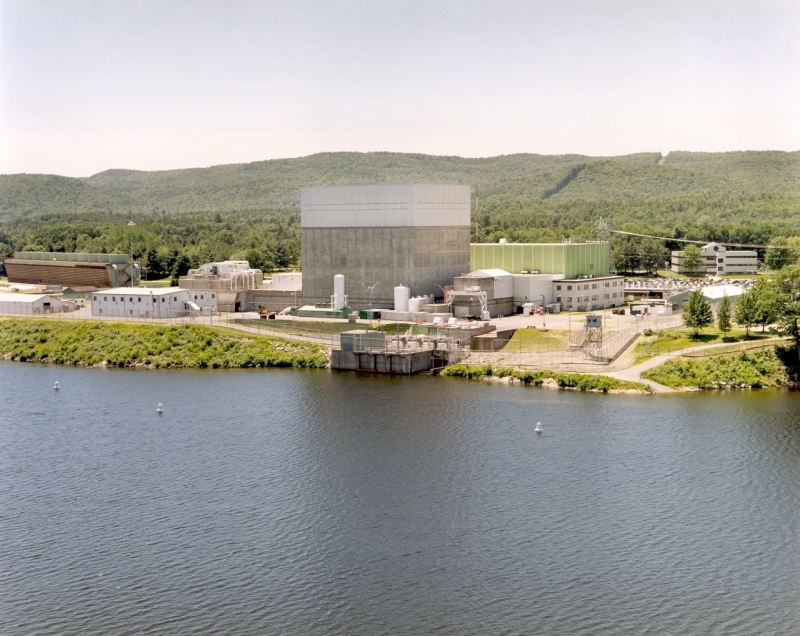 Faced with these grim economic prospects, in 2013, Entergy announced the retirement of the Vermont Yankee Nuclear Power Station in Vernon, VT. Vermont Yankee delivered electricity to the New England electric grid for the last time on December 29, 2014, ending a more than 42-year run of providing clean, reliable energy, employing more than 600 nuclear professionals, and paying millions annually in state and local taxes. 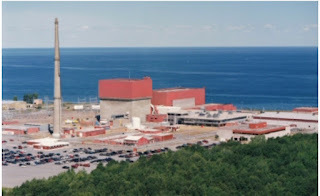 Due to the same economic forces that led to Vermont Yankee's closure, Entergy also announced the retirement of the Pilgrim Nuclear Power Station in Plymouth, MA in May 2019. Pilgrim produces more than 80% of the carbon-free energy generated in Massachusetts. In addition to inflicting the same type of economic harm in and around Plymouth that Vermont Yankee's retirement inflicted on southern Vermont, Pilgrim's retirement will make it very difficult for the Commonwealth to meet its legal obligation to reduce greenhouse gases. During the last ten years, while we have been seeking federal (and, in some cases, state) approvals to continue to operate our existing nuclear plants, many federal and state officials have separately been pursuing efforts to reduce carbon emissions. These efforts have included federal agency actions (most notably, the EPA's Clean Power Plan) and various state actions, including legislation, agency actions, and "encouragement" provided to utilities to take steps to reduce electric sector carbon emissions (e.g., the recent multi-state "clean energy" RFP issued by utilities in several New England states). In general, these federal and state carbon reduction efforts have focused on providing significant subsidies and/or long term contracts to renewable energy sources, primarily wind and solar. But, these carbon reduction efforts have not included any proposals to support the continued operation of existing nuclear facilities. For example, the Clean Power Plan provides no incentives to states to maintain their existing nuclear plants. And, the multi-state "clean energy" RFP issued by several New England utilities in 2015 excluded existing nuclear facilities from participating. In short, carbon reduction advocates have tended to be single-minded in their objective: Increase the use of renewable energy. According to data from ISO-New England, reliance on natural gas for electricity production in New England more than tripled from 2000 to 2015 (15% to 49%). During that same period, contributions from hydro resources and renewable energy resources remained essentially flat (7% and 8-9%, respectively). Nuclear also remained essentially flat (31% to 30%), with uprates and increased availability offset by Vermont Yankee's retirement. The big declines have come in the use of oil-fired (22% down to 2%) and coal-fired (18% to 4%) generation. And, from 2000 to 2014, New England saw steady reductions in CO2 emissions as natural gas-fired plants replaced oil- and coal-fired plants. In 2015, however, Vermont Yankee's retirement increased New England's CO2 emissions by 5 percent, or more than two million metric tons. The reason? Natural gas-fired generation replaced Vermont Yankee's output. A similar outcome followed the retirement of the San Onofre Nuclear Generation Station in California, which resulted in meaningful increases in CO2 emissions. Future nuclear plant retirements can be expected to produce the same results. This means that we can expect increased CO2 emissions. Inadequate natural gas pipeline infrastructure is at times limiting the availability of gas-fired resources or causing them to switch to oil, which is creating reliability concerns and price volatility, and contributing to air emission increases in winter. Substantial nongas generating capacity is retiring, limiting the options for reliable grid operation when natural gas infrastructure is constrained. The weather-dependent output from wind and solar resources and the increase in [distributed generation] adds complexity to how the ISO must operate the power system to maintain reliability. Expensive transmission infrastructure upgrades are needed to connect more wind and hydro resources. Efforts to meet state policy goals to inject more clean energy into the system through long-term contracts may undermine confidence in the markets and inhibit future investment in competitive power resources. We are left to ponder the consequences of a single-minded focus on supporting renewable energy and a lack of support for the existing nuclear fleet. Even if you disagree about the relative merits of carbon reduction efforts, it is inarguable that additional nuclear plant retirements will lead to increased CO2 emissions. Moreover, the increased dependence on natural gas-fired resources reduces fuel diversity and exposes customers to potential price volatility. An important additional fact to recognize is that, once a nuclear plant retires, there is no opportunity to bring that plant back into service (it is not technically impossible, but it is infeasible from a regulatory standpoint and an economic perspective). If we are, through application of a "renewable energy is the only future" rule, moving toward an electric future of increased carbon emissions, less grid reliability, insufficient fuel diversity, and increased consumer prices, then stakeholders (customers, elected officials, businesses, etc.) will be entitled to ask: If the rule you followed brought you to this, of what use was the rule? There is another path to follow. 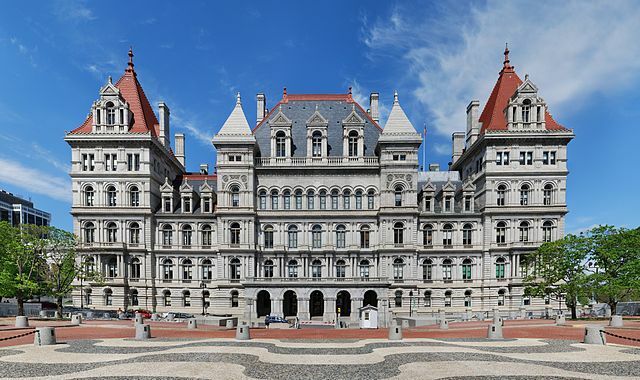 In New York, the Public Service Commission is considering the adoption of a program that would compensate nuclear facilities for their non-carbon emitting attributes. It would be the first in the U.S. to explicitly -- and financially -- acknowledge the importance of the existing nuclear facilities to carbon reduction goals. All who desire a future electric grid that is clean, reliable, and affordable should applaud New York's efforts. And, we should decline the pitch of renewable energy advocates who peddle the fantasy that wind and solar alone can power the grid. Mike Twomey is Vice President for External Affairs at Entergy. He is involved in many areas of negotiation and outreach concerning the nuclear plants. 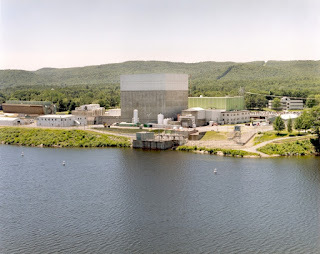 His most recent guest post at this blog was The Replacement for Vermont Yankee Was...Natural Gas. This post first appeared on LinkedIn and is republished by permission. Closing Diablo Canyon would be a great loss for California air quality and grid reliability. To be blunt about it: What are these people thinking? Well, they aren't thinking. They are kicking the can down the road. 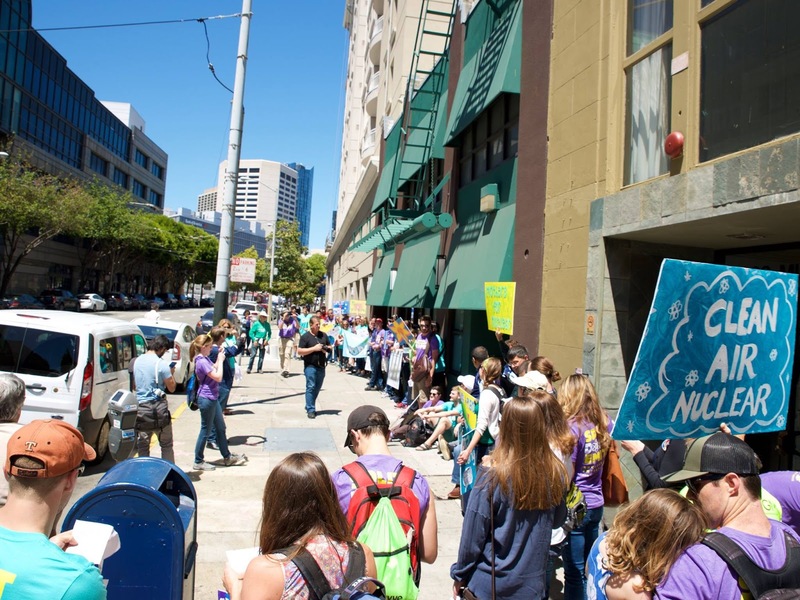 My post at Northwest Clean Energy blog, Closing Diablo Canyon a big loss for California, gives an overview of the PG&E agreement with anti-nuclear groups, how they are kicking the can. I encourage you to read it. The Southern California Grid has a rolling-blackout plan, even now, with Diablo operating. According to the San Diego Union Tribune "natural gas curtailments" could interrupt electricity service for as many as 14 days this summer. Basically, gas supplies are constrained: in California, part of the constraint is the aftermath of the massive Aliso Canyon gas leak. So, with California ISO considering its rolling black-out planning and gas curtailments, PG&E plans to close Diablo Canyon! How did California get into such a fix, anyway? Part of the answer is about requiring unrealistic renewable energy standards, and another part is having anti-nuclear groups at the planning table for the agreement, with pro-nuclear groups excluded (unless they are unions). Well, hey, I'm used to pro-nuclear groups being excluded. When Jaczko met with "citizen volunteer groups" in Brattleboro a few years ago, the Energy Education Project that Howard and I founded was not considered a citizen's group. Howard and I sat in the peanut gallery, not at the table. To understand the history of the Diablo Canyon situation, read my post at Northwest Clean Energy Blog. Also, watch quick videos of the California Lands Commission hearing at Rod Adams blog post: Showing Up and Speaking for Diablo Canyon in California. To learn about actions you can take for Diablo Canyon, go to the Save Diablo Canyon or Californians for Green Nuclear Power websites. These websites have links for donations, signing petitions, and for breaking news. There are several other groups also active for Diablo Canyon. For more links, visit my blog post Diablo Canyon and What To Do About It. Actions are more important than history. New York State has proposed a Clean Energy Standard which would support not just renewables, but ALL clean energy, including nuclear power. Implementing this standard would keep the upstate nuclear plants operating. The comment period on the standard was supposed to close tomorrow. But, the comment period has been extended until Friday July 22. Here's where to comment. What is the Clean Energy Standard? Please comment and post about it and send links to your friends in New York State! Ummm....the people who asked for the comment period to be extended are NOT friends of nuclear energy. You can bet that they are getting their act together for a major blitz next week. Send in your pro-nuclear comments! The Environmental Progress organization has good information and example comments on this Google Drive. All existing zero-emission sources need support! If people pick and choose: ooh, I don't like nuclear or ooh, I don't like hydro or ooh, wind turbines are terrible, then these existing zero emission sources WILL be closed. And they WILL be replaced by fossil. It is as simple as that, really. I am in favor of nuclear for the future, but if someone doesn't like to build more nuclear, that is about policy for the future. For right now: Keep and Support the Existing Zero Emissions Sources that we have! Close Fossil First! Renewables are heavily supported for their zero-emissions qualities, and nuclear deserves some similar support. Please move forward on the Clean Energy Standard to protect our zero-emission sources. Much about politics, but little about fish. My article Keeping cool under pressure describes the many ways that "water quality issues" are used by states to attack the continued operation of nuclear power plants. Vermont Yankee, Oyster Creek, Indian Point, Turkey Point, Diablo Canyon, and Columbia Generating Station have been accused of overheating rivers and/or causing the death of billions of fish. Well, the death of billions of fish eggs or larva (larva are newly-hatched fish). These accusations have closed down plants or made them far more expensive to operate. My article appears in the May 10 edition of Nuclear Engineering International Magazine. The section about Turkey Point is a separate call-out in that article, due to the unusual canal-based cooling at Turkey Point. In reality, the reason most fish eggs don't grow up to be adult fish is--other fish. Fish eggs are an important food source for fish, so fish lay thousands of eggs. An American Shad lays about 30,000 eggs per year. A salmon lays a more modest number, around 3,000. 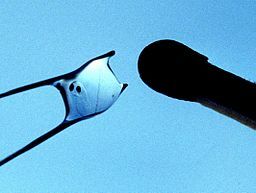 A fish egg usually does not become an adult fish, and this has nothing to do with power plants. It's about other fish: the fish that like to eat fish eggs. I am always very pleased to write an article for an important magazine such as Nuclear Engineering International. However, "read my article" seems a rather thin blog post. So I finish this post with a couple of links that can supplement my magazine article. Diablo Canyon: The owners of this power plant recently announced that the plant would close by 2025. This article describes the upgrade-your-cooling-system issues the owners would have faced if they had chosen to stay open. Oyster Creek: State of New Jersey closes plant, ostensibly to protect Barnegat Bay. I enjoyed putting these supplemental links together, but I do hope you will read the article itself: Keeping Cool Under Pressure.